The Wall Street bank is trying to ensure that 14 percent of the new analysts and associates in the Americas are Hispanic or Latino and 11 percent of them black, according to the memo, seen by Reuters. 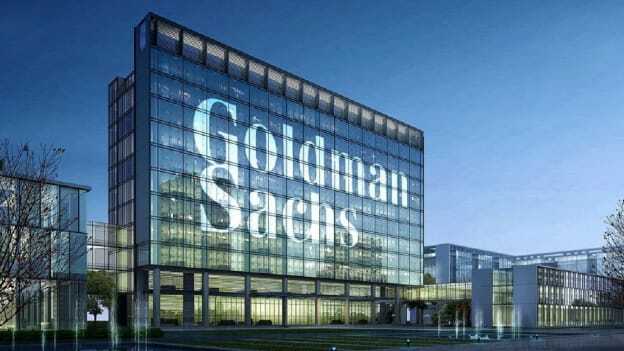 The aim to diversify the workplace goes to another level for Goldman Sachs Group Inc. The bank now has targets in place for hiring minority groups to increase diversity at its workplace. According to a memo sent by top executives to employees yesterday, the Wall Street bank is looking to have 14 percent of new analysts and associates in the Americas Hispanic or Latino and 11 percent of them black. Further in Britain, wants 9 percent of its entry-level workforce to be black. The bank's senior executives are primarily white and male currently. Earlier Goldman Sachs did not set targets for more experienced employees but is now requiring businesses to interview at least two qualified diverse candidates for each open position. Last year the bank had laid out goals to increase the number of women at the workplace to ensure women to make up half of its entry-level workforce. It had also announced similar targets for campus hiring. In the memo shared by Goldman Sachs, the bank said it is “nearly there” with the targets it announced last year for campus hiring, and is exploring ways to increase the portion of staff who are lesbian, gay, bisexual, transgender, disabled or veterans. Now the focus also shifts on enhancing cultural diversity and giving a fair chance to talent from different backgrounds and origins. Goldman Sachs is not alone in putting such targets in place to diversify its workforce. Citigroup Inc has also set the objective to have half its global staff to be women, and 30 percent of its staff to be black and Hispanic or Latino in the United States. Such policies, however, invoke the thought that is having specific targets to hire talent from a particular background or gender truly the right way to enhance diversity? While on one hand leaders say that hiring should be based on purely skills and capabilities of the person, organizations often go ahead and put specific targets and requirements having to do nothing with the job. For instance, hiring managers and recruiters are given a target to hire 3 Hispanic in a month. Now, this would lead them to have a certain bias while sourcing candidates for a particular role. In this process, they might ignore or completely miss candidates who actually are a perfect fit for the role because of their skills and potential. Putting such specific targets just to increase diversity at workplace hence remains questionable. Do you think having set goals to hire a percentage of the workforce from specific caste, origin or gender is the right way to diversify workforce? Share your thoughts in the comment section below.